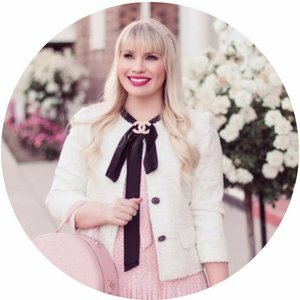 Valentine’s Day is right around the corner and I thought I’d share all of my “Valentine’s Inspired” looks in one place! 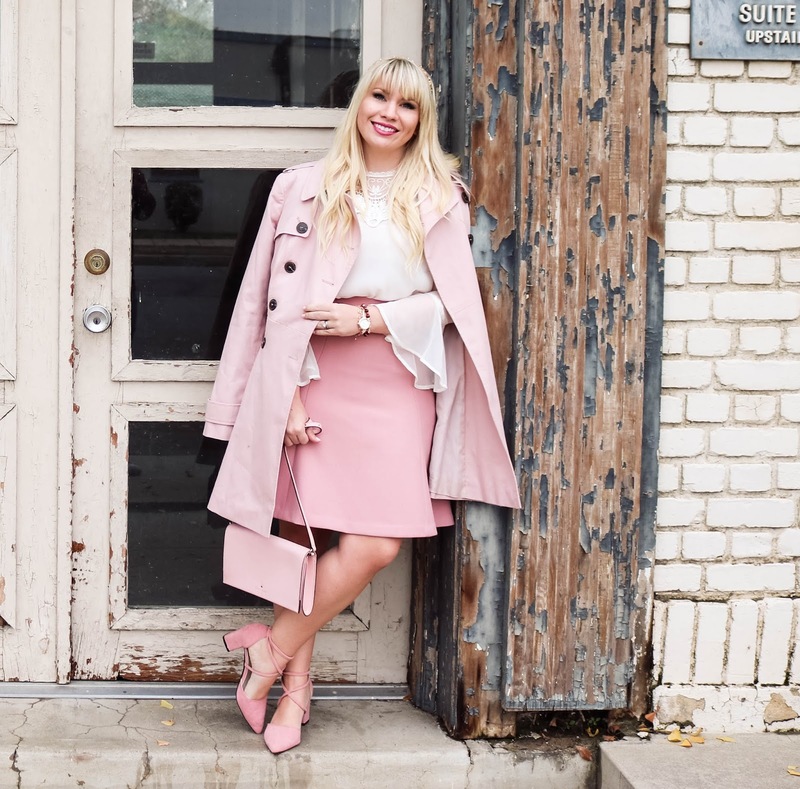 It’s no secret that I loooove pink and probably wear it way too much (oops!) so of course, there are tons of pink outfits in this post with touches of purple. Apparently, I don’t have any red…like at all. I made this discovery while rummaging through my closet this past week to find a red outfit for an upcoming event. I found a pair of red shoes, a purse and a coat. That’s it! *cue jaw drop* I guess I’m just not a “red” kind of gal…although, I do like burgundy. 🙂 Check out my most recent V-Day inspired looks below! Pink and grey is one of my absolute favorite color combos. It’s chic, simple and beautiful without trying too hard. This color combo is light, airy and ultra feminine. 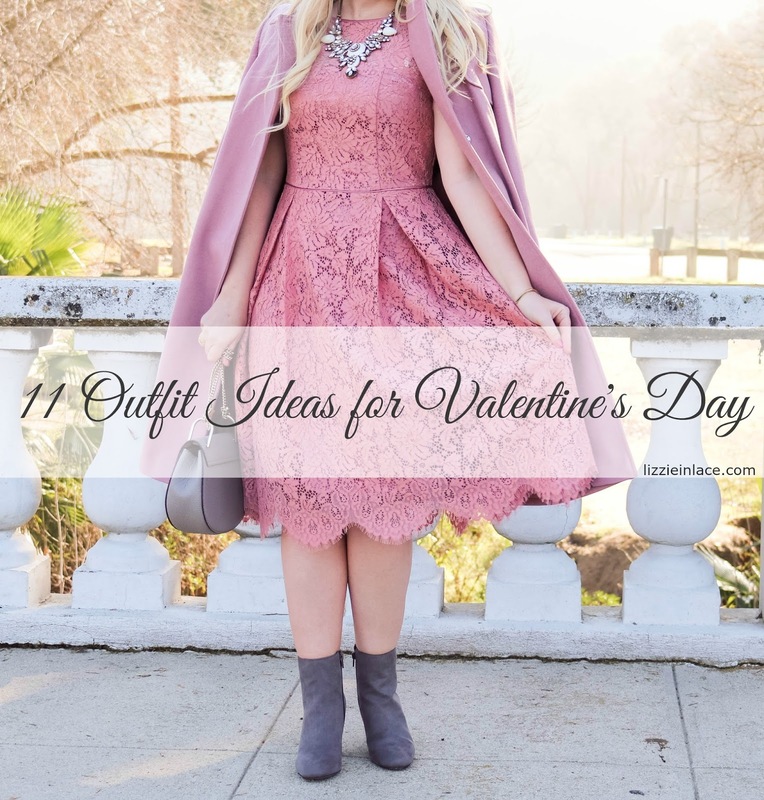 If you don’t want an outfit that screams “VALENTINE’S DAY!” but is still festive, then this is the one for you. Monochrome outfits are all the rage right now. You can make a chic outfit with pretty much any combination of hues from the same color family and instantly look pulled together. Most monochromatic looks involve neutrals so a head to toe look in plum is both eye-catching and adventurous. This is for the risk taker that likes to stand out from the crowd. 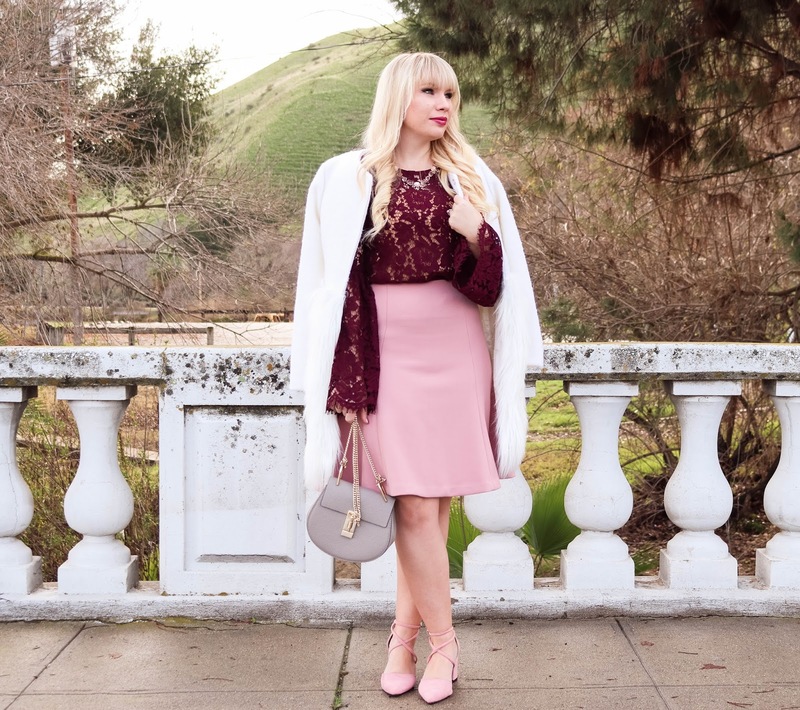 A pop of hot pink is always a fun element to add to any outfit. It looks amazing with neutrals as well as other bright colors. It makes a bold statement without being too over the top or dramatic and you just can’t but to smile when you see it. This is perfect for cheery, fun-loving gal. 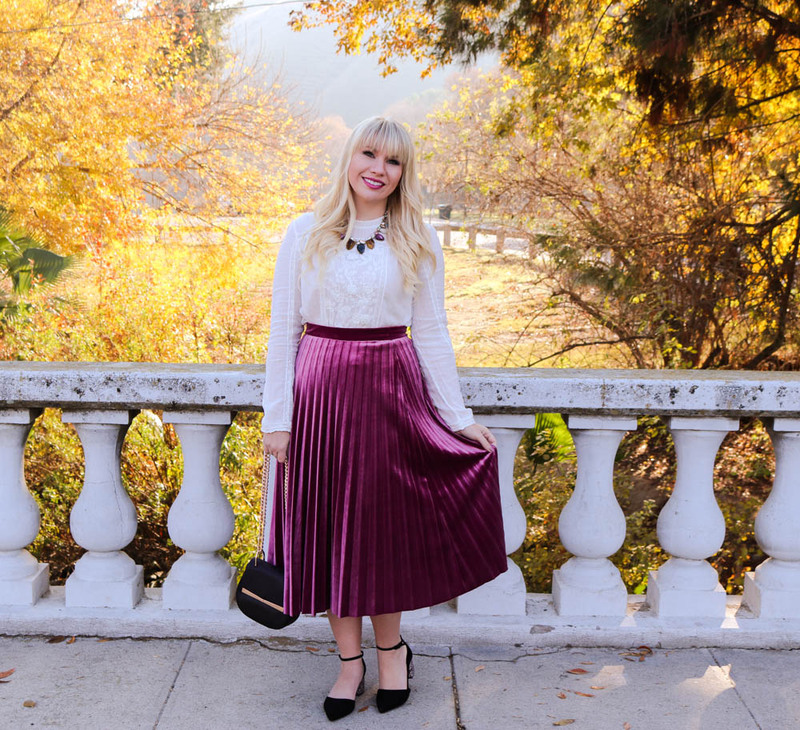 A touch of plum will instantly elevate any outfit. This color is regal, elegant and classy and looks amazing paired with white, grey, pink, navy and even yellow. It’s a bit unexpected but still feels classic. This is for the lady that loves to look pretty and put-together. 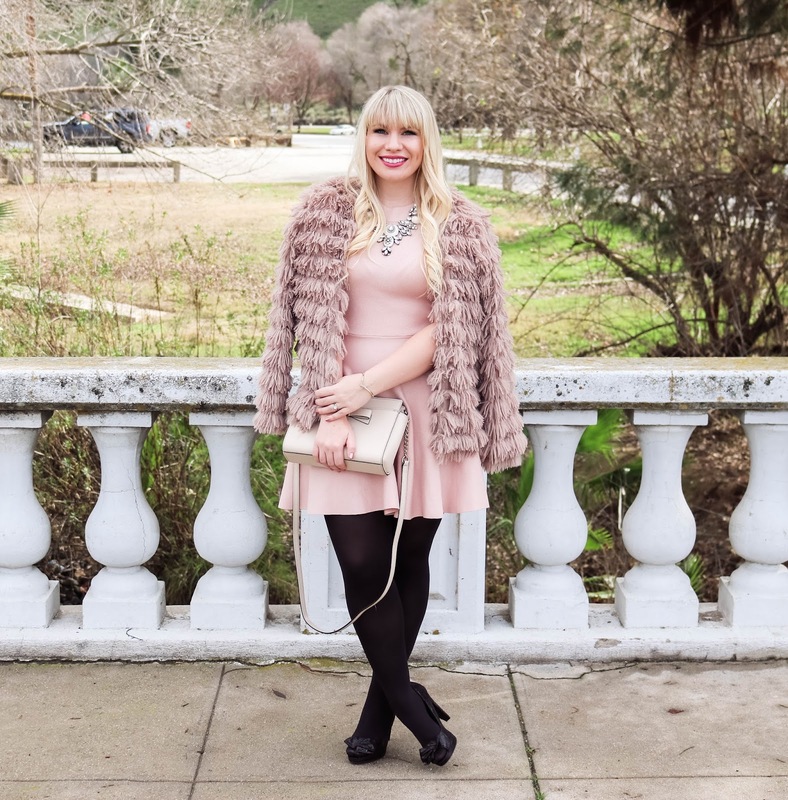 Pink monochrome is another favorite of mine, especially when it involves blush tones. 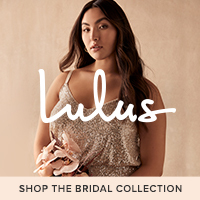 It is ultra feminine, pretty and put-together. It looks very chic and cool girl without being too gimmicky. This is for the unapologetic girly girl that isn’t afraid to break the rules. Blush and black are another amazing combo that looks both beautiful and understated. It screams Parisian chic and is a sure way to look effortlessly put-together. This would be perfect for the simple gal that wants to add in a Valentine’s Day element without going overboard.